Having this happen, however, does not mean that you would be thereafter cured of Celiac Disease. Celiac Disease is permanent and must be dealt with using strict vigilance for your entire lifetime. If a person with Celiac disease were to resume ingesting gluten at any point, then inflammation and damage to the small intestines would only start all over again. At Essential Health Solutions, we provide patients who have Gluten Sensitivity or Celiac Disease with Gluten-free diet guidelines and, since such a diet is difficult for some to adhere to, we offer resources including products and places around Chicago to shop for Gluten Free Food or even to Eat out at a Gluten Free Restaurant or those offering genuine Gluten Free Menu's, plus other tips to make implementing the diet easier for you. Most important for Gluten Sensitive or Celiac patients is to get in the habit of reading labels before you ingest anything. However, be aware that just because a food bears a "Gluten-Free" label, that it doesn't necessarily mean you won't be eating any gluten. Under current US FDA regulations, companies are actually allowed to include small amounts of gluten in gluten free foods, as long as it's under 20 parts per million. That is more than enough, however, for some people with an allergy to gluten or Celiac disease to experience symptoms or for damage to occur. That's why it is so much more important still to keep your follow up appointments and keep track of what you eat as well, so that if you do have a reaction, we can go back and trace it to its source. It's also important to realize that it isn't just food that a person with gluten sensitivity or celiac disease has to be careful of. Gluten can also be found in many personal care products and cosmetics, such as toothpaste, lipstick and lip balm, medications, vitamins, even the adhesive on stamps and envelopes. So again, become informed about what you are putting into and onto your body. Although pastas and baked goods are obvious sources of gluten, it can also be found in beverages, candies, gravies, sauces, spices, modified food starch, dextrin, and caramel color. there are also foods that do not contain gluten but may still cause gluten intolerance symptoms in some people. These are called gluten mimicking foods, also known as cross reactive foods because they contain a protein that is similar in structure to gluten. Therefore, some people with an allergy to gluten may react to these proteins as though they were gluten. Fortunately it is easier than ever before to maintain a gluten-free diet as there is a growing recognition of Gluten Sensitivity and Celiac Disease, leading popular food producers to release even newer and tastier lines of gluten free products. Many grocery stores even have a gluten free aisle or shelf now. If you are found to be Gluten sensitive or have Celiac Disease we will provide you with a list of many resources we have found in Chicago. 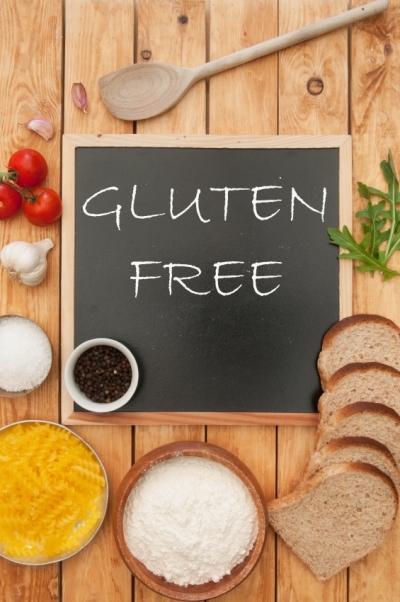 To Find out if a gluten free diet is right for you, request an appointment online or call and speak with one of our expert team members 773.878.7330.